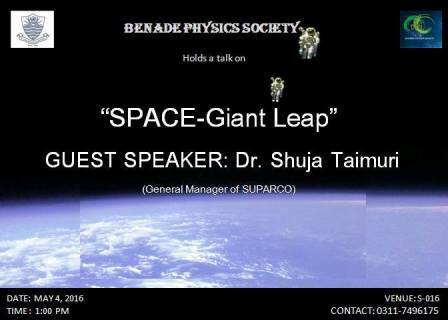 BPS is organizing a talk on Space Giant Leap by SUPARCO. Information and details regarding the exploration of space will be discussed. Date: Wednesday 04 May 2016.